Next level vegan burgers and other junkfood at two (and counting) hip locations in town. When entrepreneur Edwin Streep became vegan a while ago, he noticed a lack of vegan options in town. 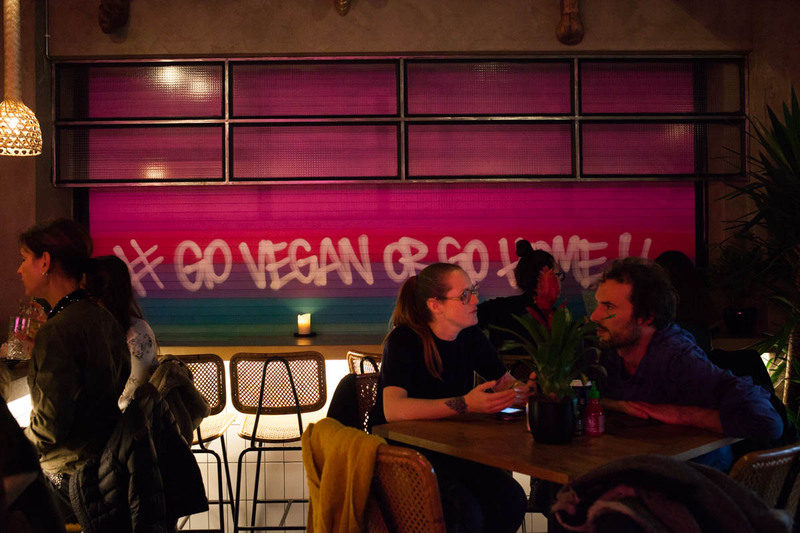 Starting Vegan Junk Food Bar his aim was to create food that people know and love, but based on plants! And sure do people love it. 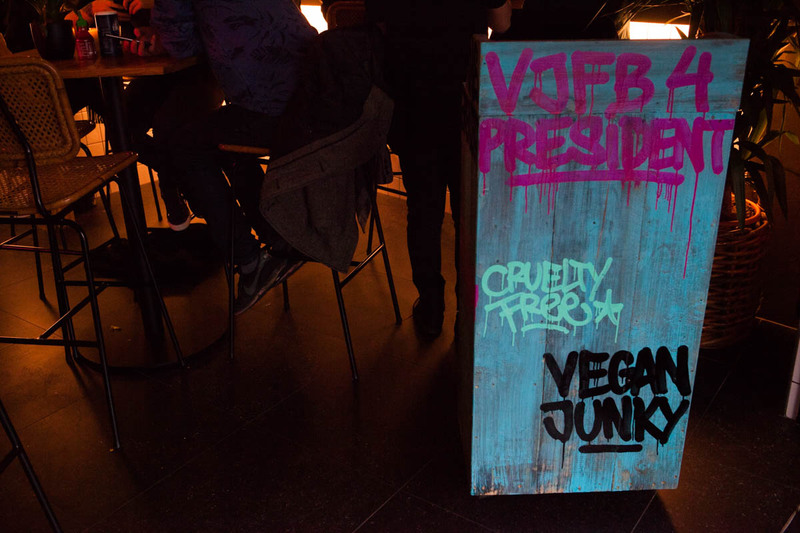 With a heavy Instagram presence Vegan Junk Food Bar quickly became a sensation, but also serious food critics showed appreciation for the dishes. The burgers are like the flagship on the menu. They ain’t cheap, but they’re huge! Other popular options include the loaded fries (fancy version of a Dutch kapsalon), chick’n nuggets or the shawarma sandwich. The restaurant at De Pijp even has more options like salads, tortilla, wish and chips and desserts. 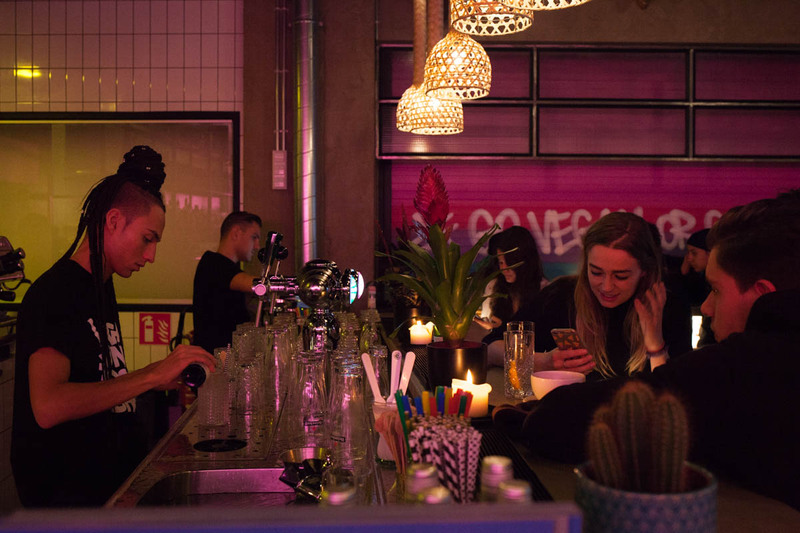 They also have an alcohol permit and available drinks include local specialty beers, gin tonic, cocktails etc. Check out the full menus here. Both restaurants don’t take reservations and it can be pretty busy. 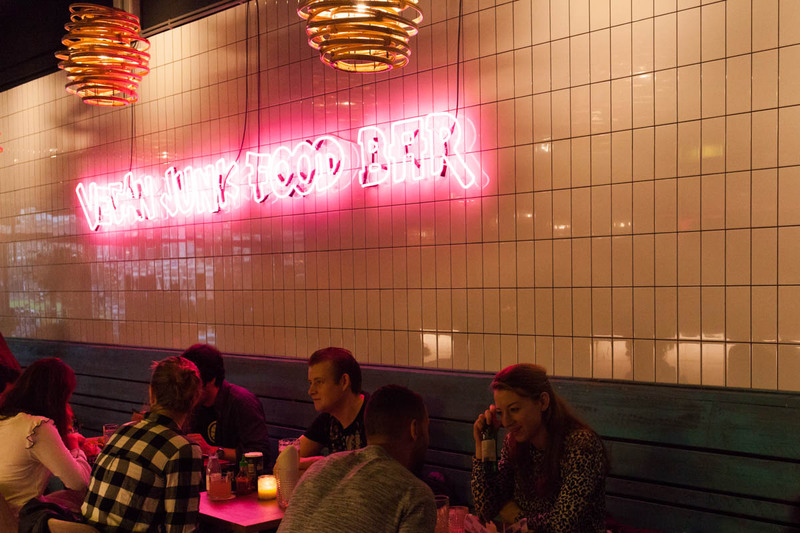 The Burger Bar at Staringplein is situated just of Overtoom, and around the corner of Cafe Parck by the same owner. 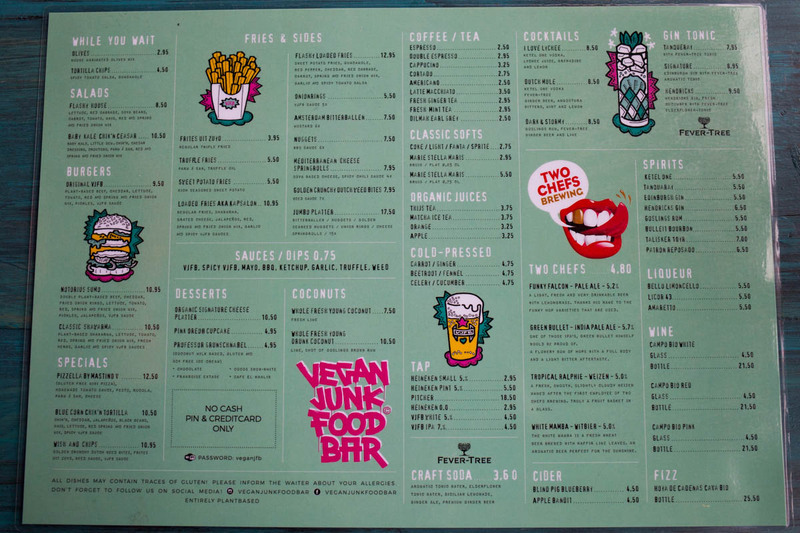 Parck is a proper bar and they also have some snacks by Vegan Junk Food Bar on the menu. 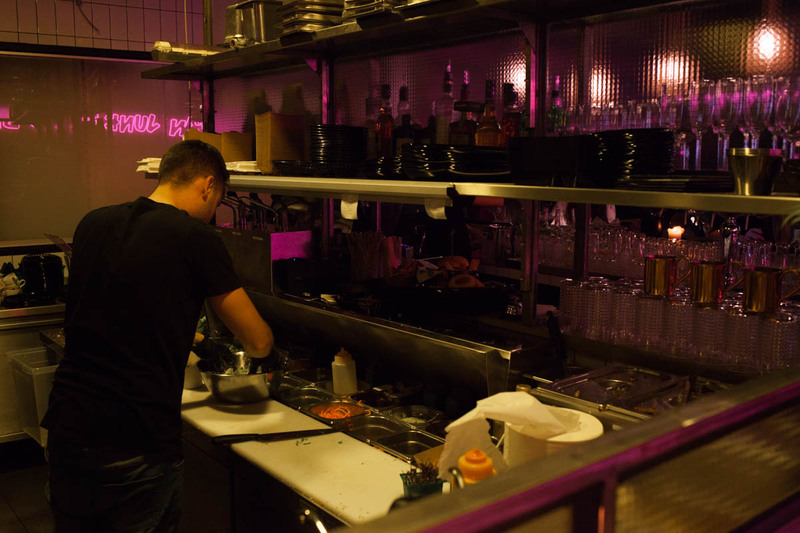 The restaurant at Marie Heinekenplein is located at popular neighbourhood De Pijp with many bars and restaurants around. Nearby small but pretty Sarphatipark is worth a visit. 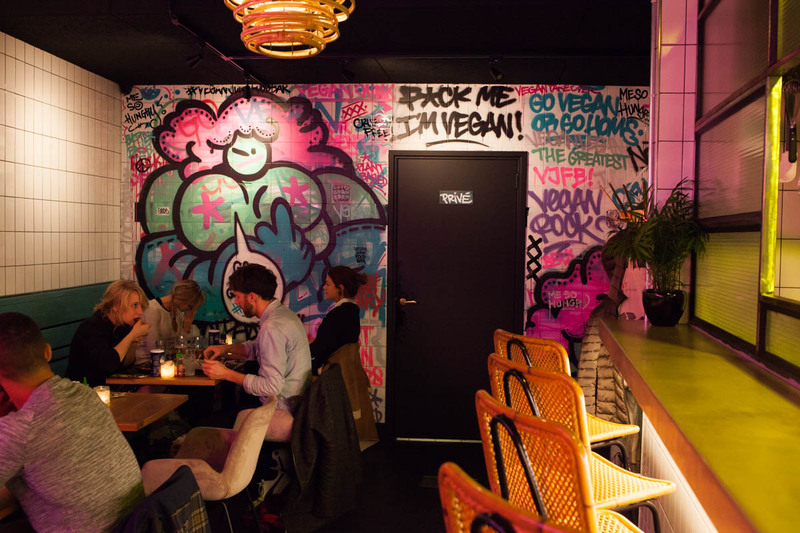 Fun fact, the colourful eye catching mural in the restaurant is done by local graffiti legends Brush and Oase. 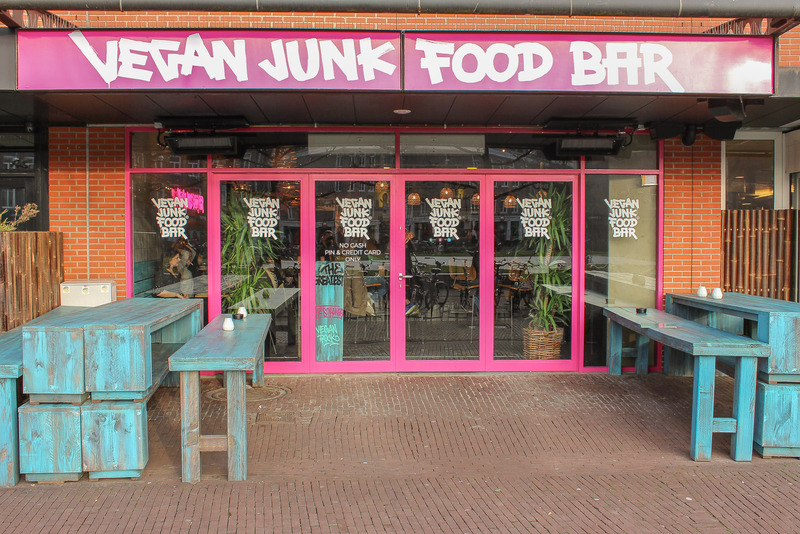 Soon a third Vegan Junk Food Bar will open up in the east of Amsterdam. The exact spot is still a secret but it will be near Dappermarkt. That means they will have opened three locations within a year time! And very likely more to come in the future!